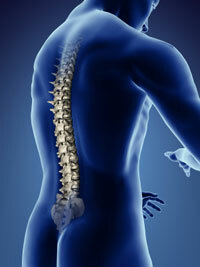 SCHMITZ CHIROPRACTIC - What is Chiropractic? Chiropractic is a form of healthcare that utilizes the understanding that the body’s structure and function work together. This means that if there is a problem with your muscles, ligaments, or vertebrae (structure), it will affect the other systems in your body (function). This can present as a variety of symptoms such as pain, fatigue, lack of mobility, and illness. Misalignments in the vertebrae, called subluxations, cause interference in the nervous system, which affects all of the body’s functions. Chiropractors perform adjustments to the spine, which eliminates the subluxations. This enables the body to function and perform at its best. This results in decreased pain and fatigue, improved motion and mobility, and even a stronger immune system. Very small interferences make huge differences when it comes to our nervous system. Pressure equaling the weight of a dime can cause a 60% reduction of nerve function within only a few minutes. This type of interference has a major effect on all systems of the body. Only 10% of the nerves in our body are sensory nerves (nerves that cause pain), the rest are nerves that relate to bodily functions. Just because you do not have a noticeable symptom does not mean you don’t have a problem. Many subluxations (spinal mis-alignments) are caused by everyday activities, especially bad habits when sitting, sleeping, or exercising. There are also subluxations caused by traumatic incidents such as car accidents, sport related injuries, or birth trauma. Our body is made to be healthy. All diseases are caused by some sort of weakness in the immune system. How was this weakness created? Chiropractic differs from the medical model in that we do not believe the ultimate answer is to add medication or remove organs to make you better. We believe the ultimate answer to being healthy lies in letting the body do what it is meant to do with no interference from the physical, chemical, and emotional stresses that we put on it everyday. Regular chiropractic check-ups are a way of ensuring that you will live the healthiest life possible.